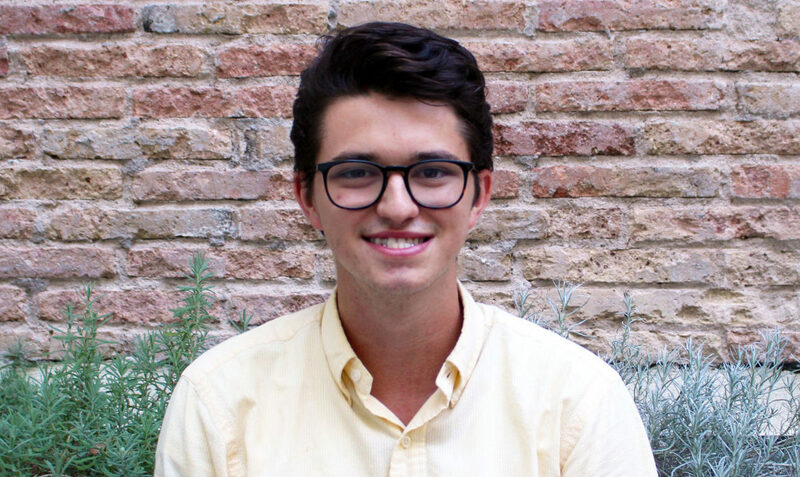 We couldn't help but notice the torrent of activity flowing through Facebook, LinkedIn, and even the Spanish national television signals relating to Nathan Payonk, one of our Barcelona program participants. Nathan's host company also offered him the chance to extend his work with them. We caught up with Nathan to pick his brains about his experience. How does the work environment in Spain differ from what you're used to? The work environment in Spain is very different to that of the United States. There is an emphasis on creating relationships with clients and co-workers in Spain. Your work does not revolve around a 9-to-5 schedule. You might have short days here and there, but you might also have very long days. Your work really takes priority over other activities. In Barcelona you see people coming out of their offices at 9 or 10pm. People take pride in their work and they are willing to put in many hours to showcase that. What has been your most positive experience at work so far? I would have to say that it was the first weekend of the internship. My boss invited me to a biomass conference in which our company gave a big presentation. So my first week was spent researching information regarding the biomass industry in Spain and how our product could play a role in the Spanish market, as well as the European market as a whole. As a result I helped our team craft a presentation and presented to possible investors. Our presentation was very successful and our team was even featured on various Spanish TV networks as a result. What advice would you give to anyone else from outside of Spain going there to work/intern? Prepare to trust yourself, become multi-purposeful. Trust yourself because many times your supervisor or boss is going to give you a task with vague or little detail. They are going to assume you have experience and, if not, they will give you feedback on your task and you simply have to adjust. Companies are not afraid to put interns to work and as an intern it is important to say "yes" to projects and tasks you may not have direct experience in. Companies appreciate interns stepping outside of their comfort zones. Don't stress over time. You may have a meeting that starts late or a client meeting over drinks and food that goes longer than expected. That is okay, time is seen very differently in Spain. People enjoy their meals and meetings with each other. If it doesn’t meet the exact schedule that's okay and majority of people here understand. What has been the most difficult/culturally challenging experience at work so far? Although the majority of my co-workers speak English, many clients of ours do not. The language barrier can become challenging and frustrating at times, but you find other means to communicate to ensure yourself and the client are on the same page. Another big challenge is the number clients we serve from various different countries. Communicating with clients from all around the world, I must be mindful of how I address them and which gestures I use. How do you find your commute? I commute via metro. The metro system in Barcelona is very easy to navigate. I am about a 20-minute metro ride to my workplace. What are the other team members like? My other team members are great. If I ever need anything they are always there to assist. They are very understanding and patient with me since I do struggle with the language barrier sometimes. They are very passionate about what they do and it motivates me to work harder. I can’t praise my team members enough, they truly treat me like family. Can you please give a summary of your typical work day? A typical day for me consists of several parts. One of them is the immigration law tasks. This consists of responding to clients to make appointments or to answer questions they may have regarding their cases. Another part is actually attending the appointments with our clients at the government immigration office. Here we present our case in hopes the government official rules in our favor. Lastly, with the immigration law tasks I organize files and keep up with the accounts to ensure payments are accurate and on time. Additionally, I am involved in research. My boss also does consulting for biomass projects. I conduct research on the biomass industry in Spain and see how Spain’s biomass partnerships can play a role in the international market. What will be your biggest take-aways from the experience? I have two big take-aways. One of them is that the world is truly interconnected. Before coming here I never knew how much knowledge can be useful from one’s own country. Things I learned in the United States have helped me out here and I believe made me stand out in the workplace. I also believe the world is interconnected because so many people here are up to date on international news, not just about the United States, but many other places too. I was shocked at how quickly people were informed on U.S. news. If a story broke in the U.S., you would often hear conversations about it at dinner the same day. My second takeaway was that I truly felt like I accomplished a goal here. I was suppose to be in Spain for one month but at the end of my one month internship I was offered an extension. I felt like this was an opportunity of a lifetime so two days before my scheduled flight, I cancelled my trip back to America and had 24 hours to find a place to live for a month. I managed to do so and I am very proud of myself taking that risk being 4,000 miles away from home. Could you tell us your impressions of Barcelona? I love Barcelona. It is a city like no other and is filled with endless activities. People are always outside together eating dinner or enjoying a drink at a bar, The city never sleeps and I love that lifestyle. There is so much history in Barcelona and the buildings are incredibly beautiful. My favorite part is the beach. The beach is one of a kind and there are so many curiosities to explore. Do you think your internship experience will impact your approach to work when you return home? If so, how? Absolutely, I think this internship has given me the self-confidence to enter any workplace when returning home. I was exposed to many new situations here and had to find creative and unorthodox ways to find solutions.